Thanks to Back in 15 for giving my blog a plug. I think I'll start a complementary list tracking the most inane and/or ludicrously ideological commentary; I'll call it voxideological. My first award must go to Lindsay Mitchell. With a few weeks left in July can Lindsay add to her already impressive list of scandals and abuses? She's wacked welfarism, polaxed prisons, trashed teenage pregancy, dumped on the DPB, flayed father-less-families, stuck it to school exams but championed corporatising school lunches, monstered Maori gambling, beat back breast feeding zealots, attacked addicts for having families, and finally, slapped Sir Bob Geldof back into his box for daring to suggest government might increase their foreign aid. Ena Sharples would be proud! Recognising his generosity of spirit I nominate Back in 15 for the Ken Barlow Award. The squirrel works hard in the withering heat all summer long, building and improving his house and laying up supplies for the winter. The grasshopper thinks he's a fool, and laughs and dances and plays the summer away. Come winter, the squirrel is warm and well fed. The squirrel works hard in the withering heat all summer long, building his house and laying up supplies for the winter. The grasshopper thinks he's a fool, and laughs and dances and plays the summer away. Come winter, the squirrel is warm and well fed. TV Three shows up to provide live coverage of the shivering grasshopper; with cuts to a video of the squirrel in his comfortable warm home with a table laden with food. John Campbell informs people that they should be ashamed that in a country of such wealth, this poor grasshopper is allowed to suffer so while others have plenty. The Greens, The Grasshopper Poverty Action Group ,and The Grasshopper Council of New Zealand demonstrate in front of the squirrel's house. TV Three, interrupting a cultural festival special from Mangere with breaking news, broadcasts a multi-cultural choir singing "We Shall Overcome". Sue Bradford rants in an interview with Paul Holmes that the squirrel has gotten rich off the backs of grasshoppers, and calls for an immediate tax hike on the squirrel to make him pay his "fair share". In response to pressure from the media, the Government drafts the Economic Equity and Grasshopper Anti Discrimination Act, retrospective to the beginning of the summer. The squirrels's taxes are reassessed. He is taken to court and fined for failing to hire grasshoppers as builders for the work he was doing on his home and an additional fine for contempt when he told the court the grasshopper did not want to work. The grasshopper is provided with a state house, a WINZ grant to furnish it and an account with a local taxi firm to ensure he can be socially mobile. The squirrel's food is seized and re distributed to the more needy members of society, in this case the grasshopper. Without enough money to buy more food, to pay the fine and his newly imposed retroactive taxes, the squirrel has to downsize and start building a new home. The local authority takes over his old home and utilises it as a temporary home for asylum seeking cats who had hijacked a plane to get to New Zealand as they had to share their country of origin with mice. On arrival they tried to blow up the airport because of New Zealanders apparent love of dogs. A Sunday special shows the grasshopper finishing up the last of the squirrels's food, though Spring is still months away, while the state house he is in, crumbles around him because he hasn't bothered to maintain it. He is shown to be taking drugs. inadequate government funding is blamed for the grasshopper's drug "Illness". Additional money is put into funding a drug rehabilitation scheme for grasshoppers and legal aid for lawyers representing asylum seekers is increased. The asylum seeking cats are praised by the government for enriching New Zealands's multicultural diversity and dogs are criticised by the government for failing to befriend the cats. The grasshopper dies of a drug overdose. The Maori Party blame it on the obvious failure of government to address the root causes of despair arising from social inequity and his traumatic experience of prison. They call for the resignation of David Benson-Pope. The cats are paid a million dollars each because their rights were infringed when the government failed to inform them there were mice in New Zealand. The squirrel, the dogs and the victims of the hijacking, the bombing, the burglaries and robberies have to pay an additional percentage on their credit cards to cover losses, their taxes are increased to pay for law and order and they are told that they will have to work beyond 65 because of a shortfall in government funds. Oh Lordy, this can't be right. The accepted wisdom says men are responsible for the lion share of violence in the community and the home. Violence offences by females have increased 60 per cent in Timaru in the past year. And most of that increase has been in family violence with a high number involving mothers and daughters, Timaru police senior sergeant Mark Offen said yesterday. 83 percent of youth offending is dealt with out of court. This approach is about non-stigmatisation of the offender and empowerment of the victim and offender. Somehow I don't think Heather is feeling "empowered" right now. General Norman Schwartzkopf was asked if he thought there was room for Israeli forgiveness toward Hizbollah. "I believe that forgiving Hizbollah is God's function," he replied. "The Israelis' job is to arrange the meeting." A good news story from the Waikato where unemployment is at its lowest level in 20 years; Work and Income regional director Neville Williams said the "huge drop" in unemployment numbers was due to a strong labour market with reasonable wage rates. DPB down 3 percent but with a bulge in the 18-19 year-olds indicating future growth in numbers, especially the stayers (oops - no pun intended). Unemployment is down - great - but more people are are socially and physically unwell and long term dependent. I should start a category of, "did you know?" posts. Every day I come across a statistic that surprises me. Sometimes I forget it as my brain runs low on memory. But occasionally something will prompt it back, like this. Ford was alleged to have shot a man in the back of his knee, shattering the kneecap, before telling two of his sons and a nephew to finish the injured man off. They refused and the man survived. A jury acquitted Ford of the charges relating to that incident but a retrial was ordered on some other firearm-related incidents. He was on bail awaiting that trial when he died. Only 48 percent of prosecuted violent charges result in a conviction. Violent offences are the least likely to result in conviction. I know some of the pointy-headed political bloggers of a conservative persuasion were dead against moi dancing—but hey if it helps sell the message of smaller and more accountable government—I’m in. Here’s the front page of the Wairarapa Times Age. Besides I did note to myself that those opposed to my dancing weren’t people who had taken risks in their lives ... or done very much at all ... or the types to have much fun. That’s why they’re conservatives. Hah! I love it. People will have to get used to it. ACT does not own Rodney Hide. If anything Rodney owns ACT. "Scheme to spot crims at birth"
There seems to be a refusal to join the dots going on but at least people are talking about where criminals come from and admitting it isn't difficult to predict who will offend. I think that's as much as I will say about this item. This is the source of a statistic given in the following post. There were 91 children killed between 1991 and 2000. 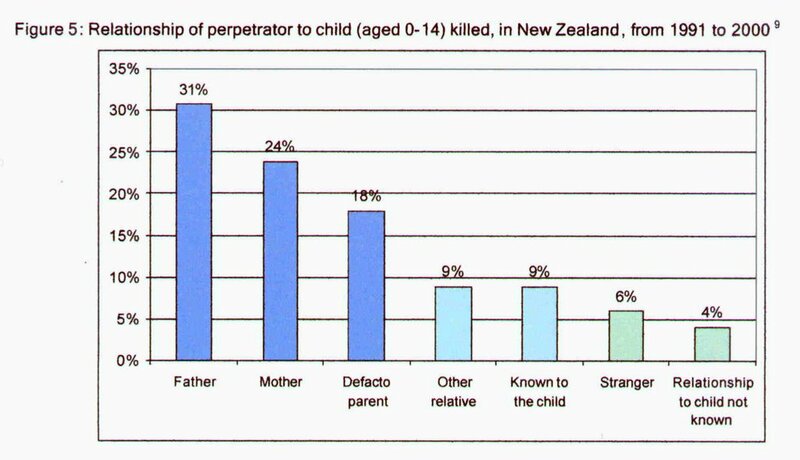 This report has just been released by Unicef NZ in partnerhip with The Body Shop. 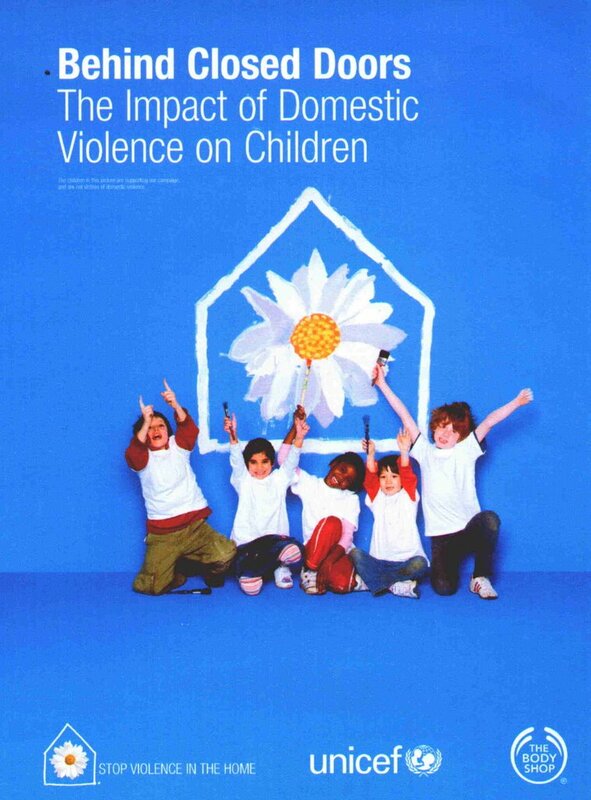 - The devastating effects of domestic violence on women are well documented. 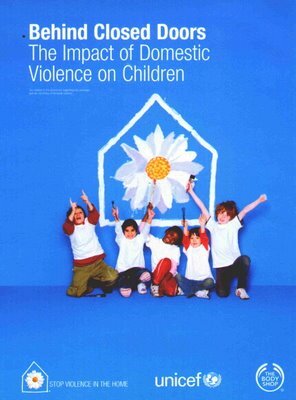 - Domestic violence is a problem of enormous proportions. Although men are sometimes victims, the vast majority are women. - One study in Canada found that women who lived with heavy drinkers were five times more likely to be assaulted by their partners than those who lived with non-drinkers. Interviewed on National Radio about this report, the advocacy manager from Unicef apparently said that one in three men will hit their partner. Did anyone else hear this? From the Adam Smith blog an entry about new drug research. Last year I got Greg Newbold to come and speak at an electorate dinner. As I remember he drew a conclusion which would be backed up by this research, that we should treat various drugs differently (or more so than we currently do). Drugs are banned because they are dangerous, we are told. And when the media report cases of teenagers dying from the misuse of ecstasy or solvents, that message seems to be confirmed. But in fact, according to a study by Professor Colin Blakemore (head of the UK's Medical Research Council) and others, these drugs are in fact a good deal less dangerous than alcohol or tobacco, which are responsible for far more cases of illness and death each year — and in the case of alcohol, accident and violence too. Cambridge Primary School has decided to cut the after-hours parent teacher interviews due to safety concerns. The teachers didn't want to work after dark. So now they will close the school on Friday and conduct them during the day. That will be very inconvenient for many parents - those who can only attend an interview in the evening and those who will have to make arrangements for the care of their children that day. Cambridge Primary School board of trustees chairman Richard Younger said staff were worried about their safety with limited daylight hours during the winter, and closing the school for the interviews was an easy decision to make. "It's a heath and safety issue now," he said. "It's sad we now have to do this sort of thing, but ultimately all the good work teachers did after hours is finished and in some cases it's turning into a complete lock-down." Here's another one doing more than her bit for our flagging fertility rate. Pregnant with her eighth, but without custody of the other seven, and on her way to jail. Hurry up with Sue Bradford's "breastfeeding behind bars" bill and with any luck she might manage to bond with this one. Can we stand to read much more of this stuff? This little boy was three years-old for christ's sake. Beaten nearly everyday by a woman not fit to call herself a mother. Poor little blighter. 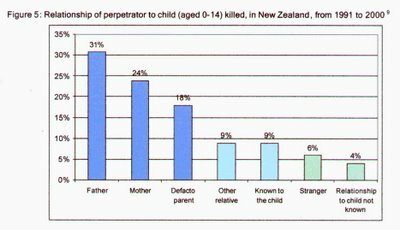 In some ways this is worse than the Kahui case because the beatings went on over a longer period and we know that two people were involved. May they rot. Putting aside the debate over whether the breast cancer drug Herceptin is effective in early stage illness, the issue of funding at $70-100,000 per course is a huge hurdle. Where will the money that may save the lives of these women come from? Perhaps the 37,000 single parents (mostly females), with school-age children only, could get off the DPB and into a job. According to Ministry of Social Development figures, the average weekly payment is $415. If half of these people got off the benefit for just a year the savings would be almost $400 million or at least 4000 Herceptin courses. As it is anticipated only 300-400 of the tumour type receptive to Herceptin will be found each year, the target could be revised to a mere 1,850 DPB recipients. Just an idea for the sisterhood to mull over. Build them and they will .....buy? "The Government should also be encouraging home ownership by increasing the stock of public housing. A larger pool of state houses will mean that owning private rentals becomes a less attractive option for investors." There seems to be a problem with this statement from Sue Bradford today. The state owning more homes will lead to the public owning more homes? NB not a promotion of dope - but how to become one, perhaps. I identified with this. The National Party is outraged an inmate in Auckland's Mount Eden prison has been documenting his time in jail through an e-mail blog. Tim Selwyn was sentenced to time in jail earlier this month for sedition and a range of other offences after his axe attack on the Prime Minister's electoral office. National Party Law and Order spokesman Simon Power says it is outrageous a prisoner can write what is basically a travelogue. Mr Power says he hopes prison security is not being compromised, and adds that The Department of Corrections has a responsibility to ensure sentences are seen to be done and some liberties denied. Update; Corrections chief executive says Selwyn is doing nothing wrong. I would have thought writing could be considered rehabilitative. But Simon Power sees it as a further "liberty" of which the prisoner should be "deprived". The PM says to Paul Holmes on NewstalkZB, "It raises some questions, the blogging. In essence he is writing a letter...do we need to do something to adjust to the internet age? It raises a whole new set of issues." 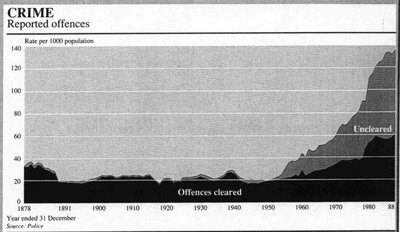 The Sunday Star Times has featured leaked June 2006 crime stats. Many regions have recorded significant increases especially in violent crime and the police are blaming the lower drinking age and increased drug-taking. The editorial raises one point not often mentioned. There was a baby blip in 1990-91 and we may be seeing the results of this as these youngsters reach the 15 - 24 age group, when most offending occurs. Some also predict a rise in teen DPB numbers as these kids start reproducing. In the five years to 2006 the percentage of 18 - 19 year-olds on the DPB climbed from 2.5 to 2.9 percent (there are more recipients younger than this but I don't have similar data for those). Given many youth offenders come from welfare-dependent, fatherless homes we are just setting up more failure. "He is well hated. A lot of people want to kill him." The woman said in recent years her cousin had changed. "The first I heard of his problems was when he got a girlfriend." That Tokoroa girlfriend was the mother of one of his two young sons born within a month of each other, the cousin said. Obviously not so disliked that two girls didn't want to have his kids. He has already left his legacy. His progeny will likely go on to be high risk adolescents in their turn. He has made his contribution to the cycle of deprivation. So I'll ask the question again. If the mothers weren't guaranteed an income from the state would they have been so keen?